Car loan interest rates are too high, a Tesla investor takes a big stake in a rival, and so much more in The Morning Shift for Wednesday, Oct. 10, 2018. Wes Lutz is the chairman of the NADA and the owner of a Michigan dealership himself, which means he knows car sales as well as anyone, so we should trust him when he says that interest rates on car loans are getting out of control. 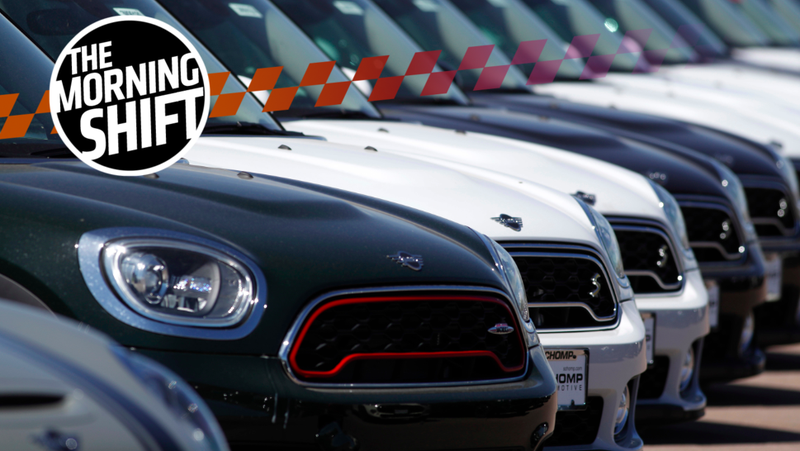 They now average nearly six percent, according to Bloomberg, and, Lutz says, leading buyers to buy cheaper used cars instead. Lutz’s comments were part of a broad range of remarks he made in a speech at the Automotive Press Association, in addition to comments to reporters afterward. His take on robo-taxis was particularly hot. Baillie Gifford, a British investment fund, owns about eight percent of Tesla, and, now, about 11 percent of Nio, the Chinese firm making an electric SUV, according to CNBC. That SUV would initially be for the Chinese market, but the company plans to expand overseas after that, encroaching on Tesla’s territory if all goes well. Baillie Gifford’s investment in Nio was revealed yesterday in a filing with the Securities and Exchange Commission. It sent Nio shares soaring, though that stock has been volatile in recent weeks. Nio’s stock closed up 22 percent Tuesday at $7.39. Since Nio shares began trading on Sept. 12, the stock has traded as high as $13.80 and as low as $5.35. Tesla CEO Elon Musk remains that company’s biggest shareholder, owning nearly 20 percent of the company. Bram Schot was formerly a sales executive, after being pointed to the top job on a temporary basis in June following the arrest of then-CEO Rupert Stadler on Dieselgate-related charges. Now Rupert Stadler’s out, and Schot recently told a German magazine he’d be pleased to get the top job permanently. “I would be available as Audi (NSUG.DE) chief in the long run and would like that very much,” Schot said in an interview published by Manager Magazin on Wednesday. Schot also said in the interview that Audi’s supervisory board had not imposed any restrictions on him and that he was making decisions for the company for the short, medium and long term. VW had lured BMW executive Markus Duesmann to potentially fill the role, but Germany’s Manager Magazin said a non-compete clause in his contract was complicating that plan. The stock market closed yesterday with Ford stock trading below $9, the lowest it’s been in six years, according to The Detroit News. The stock is now down about 20 percent under CEO Jim Hackett, a worrying sign that also reflects broader investor mistrust of the automotive industry. As we’ve reported on TMS before, Wall Street is unsure Ford can weather the next economic downturn or seismic shift in transportation, and the automaker’s plans for electrification and mobility remain vague and unclear to just about everyone. That makes investors doubtful. “Everyone’s sensing some level of contraction,” said Karl Brauer, an auto analyst with Kelley Blue Book. “It’s ironic because the economy seems to be as good as it could be. Still, Ford remains hugely profitable and is sitting on a pile of cash, but investors tend to look very long-term, and it’s still unclear if Ford can keep up those profits in a potentially driverless, electric future. If that happens. That van is based on the Transit, and uses tech from a German startup called StreetScooter. It has a range of 124 miles and is intended for delivery companies; the first ones will go to DHL. The van is a good start, but critics (and those not buying Ford stock) would probably say that isn’t nearly bold enough. Neutral: What’s the Highest Car-Loan Interest Rate You’ve Ever Had? The era of super cheap financing may be coming to an end. How have you done?